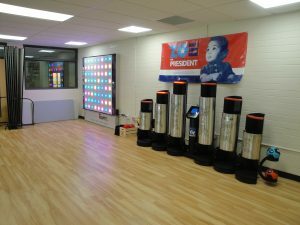 As you can see from the photos below the two Exergame products look fantastic in their clean and simple fitness space. 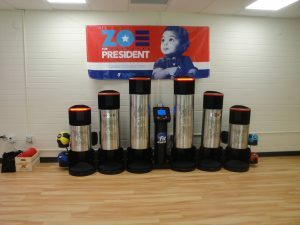 With the proper training programs and accessories provided by Exergame Fitness, they will achieve proper and effective training for their kids, all while having fun. To see more photos, click here to see our SmugMug gallery of the room. Both the T-Wall 64 and Heavy Ball offer some of our largest pool of programs and training resources that help keep things fresh for everyone using the equipment. We have many different Heavy Ball fitness games that promote functional fitness movements with low intesity/low weight workouts. 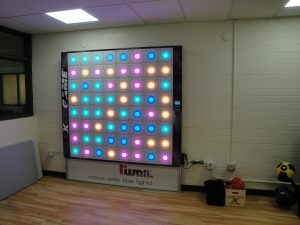 The T-Wall 64, on the other hand has the largest backlog of training materials, programs, and resources, everything from cardio to strength to group workouts. 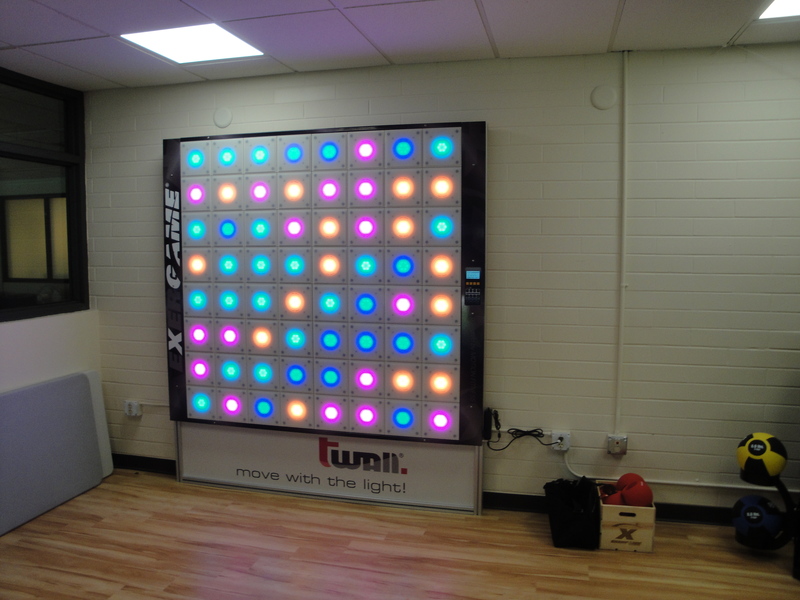 The T-Wall 64 offers low intensity, low weight, and customizable programming that makes it a major fitness tool for everyone from children to seniors. Check out the video below of a quick glimpse at the T-Wall training programs we offer. As we focus on the Lussier Family YMCA’s wonderful room, we are also looking ahead to being at the 2016 YMCA General Assembly. Stay tuned for more updates on our booth and the event itself – follow us on Facebook, Twitter and Instagram!